What happens when the general public stops having faith in the political process? Last night, thoughts like that bounced around in my head before, during, and after the first debate between Hillary Clinton and Donald Trump. 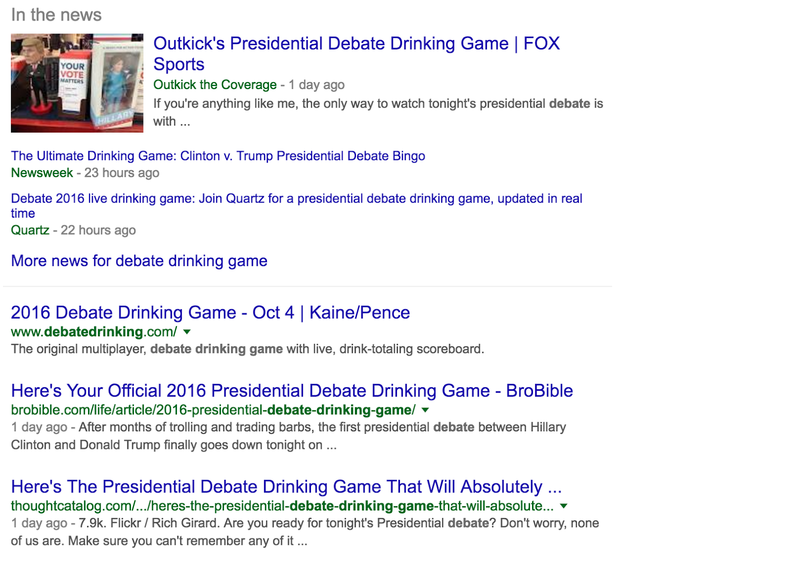 Stumbling through social media, the oddly common discussion of drinking games for watching the debates lay strewn throughout my Facebook and Twitter feeds. Posted in a Facebook comment. 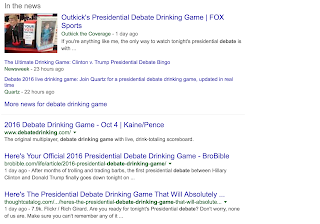 A small sample of drinking games to apparently make debates worth watching. I saw someone post a status of someone looking for a friend's place to watch the debate at (for the first time ever) with her son, not because she was interested in what either of the candidates would say, but because she was expecting it to be a trainwreck and thus, entertaining to watch. 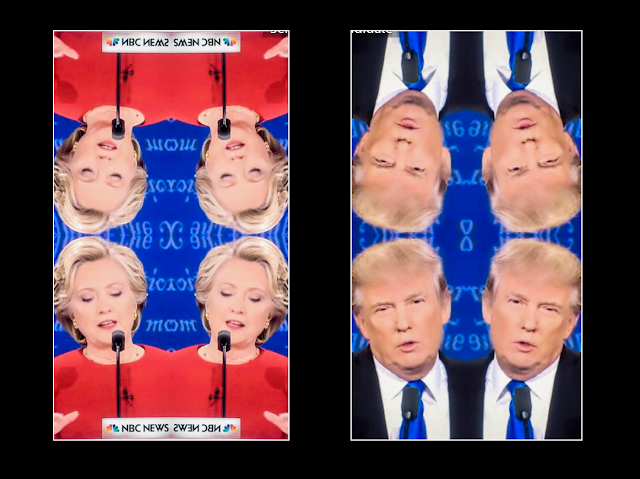 As the debate began, Snapchats with funny filters started popping up in my notifications on my cellphone and filling the Snapchat Stories section of my app. I got a couple chuckles in before becoming bored. Then I began to think about how I saw this happening all throughout the primary debates and how distracting of an action it was to take take one of these snaps during the debate. All these thoughts – the posts, the snaps, the memes, and everything else – started to merge in my head and weigh heavily on me. Was anyone actually watching the debate? Have we all become so jaded by politics and politicians' trained responses to questions that the political process has just become a dark joke that the everyman feels powerless in? Instead of focusing on what should be important discussions and debates surrounding our country's future, have we been relegated to make the best of what may feel like a powerless position by making drinking games and funny memes of politicians? I don't know, but the thought is there. Along those lines, I made some snaps of my own last night for the purpose of making this post. I wanted people to think about why we're doing these things. Are they actually acts of frustration? Is this an action that makes the user feel more power, having made a person of power laughable through a photographic manipulation of their visage. Here's a series of snaps I made last night with those thoughts in mind.